For this week’s show, Vicki took a look back at the evolution of Drum & Bass in Adelaide. Produced by radio supremo Paul Thomas, the documentary deals with Goldie’s difficult upbringing before dealing with his rise to success as drum & bass’s highest profile ambassador. 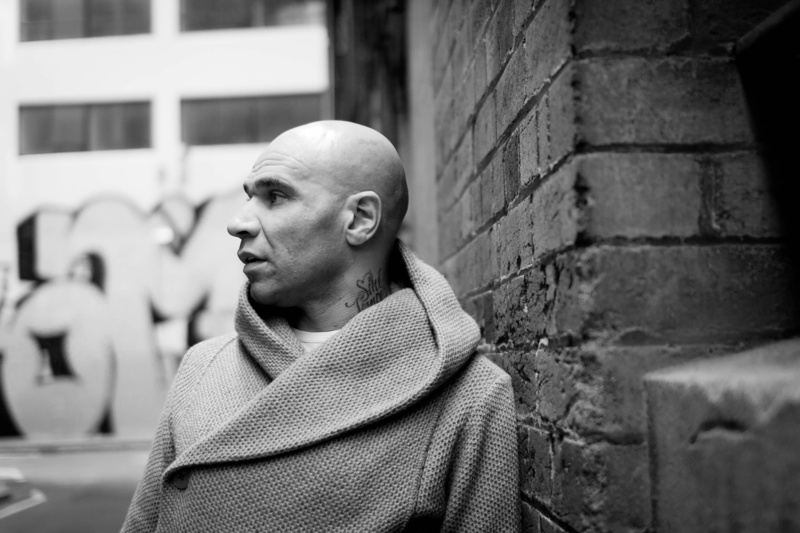 The documentary includes contributions from Fabio, Marc Mac from 4Hero/Reinforced, Pete Tong — who signed Goldie to London Records for his acclaimed ‘Timeless’ album — and others. Mostly, however, it is Goldie telling his own story. As well as being a DJ, producer and record label head (Metalheadz), Goldie is also an acclaimed artist and actor. His appearance on Maestro, learning to conduct an orchestra alongside various other celebrities, thrust him firmly into the consciousness of mainstream UK — hence being profiled in a Radio 4 documentary, generally the preserve of ‘high culture’. 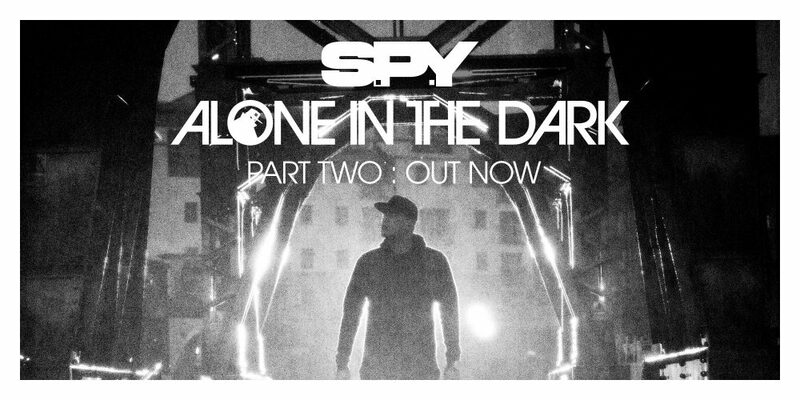 Our good friends over at Melbound DNB were lucky enough to lock down an interview with the one like Break, head on over to MelbourneDNB and read what the bad man had to say! 1st place receive vinyl of Chapters 1 & 2 of Back To Basics, Upload of the remix to the Hospital Records SoundCloud account, £50 credit on the Hospital Shop. 2nd & 3rd place: CDs of Chapters 1 & 2 of Back To Basics. One track will be selected from the final top ten by Hospital Records A&R and S.P.Y. Each entrant hereby assigns to the label a perpetual, royalty-free, exclusive, sub-licensable right and license to use, reproduce, modify, adapt, publish, translate, create derivative works from, distribute, perform, play, and exercise all copyright and publicity rights with respect to your entry worldwide. The remix parts can be downloaded from this SoundCloud set. Completed remixes should be added to this SoundCloud group with downloads disabled. Want to remix Dom + Roland? Winning remix will be released on the label DRP, winner will be interviewed on Kmag and win a SoundCloud Pro Unlimited account for a year. One runner-up will win a SoundCloud Pro account for a year and a Kmag interview. Remix can be in any style. Winner will be the remix submitted from all relevant entrants as the one most liked by Dom & Roland. If you enable downloads of your remix or distribute it in any way prior to the close of the competition you will automatically be disqualified from winning. All parts made available to download, and all parts downloaded remain the property of Dom & Roland. All remixes completed, whether submitted in this competition or not, remain the property of Dom & Roland. The remix pack can be downloaded from the remix contest page. Completed remixes should be submitted to this SoundCloud group with downloads disabled. Noisia’s new studio is almost finished and they gave the people at Dancing Astronaut a sneak peek! An exploration of the movement that redefined British urban music: jungle. The programme charts the rise and fall of this iconic scene and features Fabio & Grooverider, DJ Hype, Kenny Ken, Brockie and more. Head on over to DJ Mag to read the interview! Rip It Up have interviewed Delta Heavy! Given the time difference it will be some time on Monday, but Netsky will be doing an AMA (Ask Me Anything) on Reddit this weekend. Head on over to Bass Explorer and read an interview with Delta Heavy ahead of their set at Bass Element’s birdthday party this weekend! In October 2010, leading Japanese electronics company Panasonic announced that the legendary and symbolic Technics 1200 would no longer be sold. As one of the most iconic pieces of DJ equipment ever made the announcement to cease distribution was yet another blow for analogue enthusiasts the world over. For turntable-fanatics we’ve seen technology advance expeditiously and that’s not to say there are no benefits to the digitalisation of music – there are plenty, it’s of course great for music at large. However we feel that there’s a place for vinyl and the traditional DJ’ing and turntablism is too – and this is where we feel the Technics SL 1200s are vital. After all, vinyl sales have been rising year on year for some time now having a recent resurgence, so quality equipment should surely be available to play records with. Since originally launching in 1972, Panasonic have sold around 3.5 million of the Technics SL-1200 model turntables and with the demand for Vinyl steadily rising, I Want to launch a petition to see how many other music enthusiasts feel the same. If you’d like to support the movement, join the petition to bring the Technics SL 1200 back into production !